Mt. Buller Ski Express operates every Wednesday, Friday, and Sunday between Melbourne City,Melbourne’s Tullamarine Airport and Mt.Buller. Services commence Friday 30th June 2018. Services will operate until Sunday 10th September 2018 or until ski lifts stop operating, which ever applies first. It is recommended that flights on return journey are not scheduled before 7:30 pm to allow for traffic and snow condition delay. All Fares include the Mt. Buller Gate Entry Fee and the Oversnow Taxi to and from your lodge. On your day of return travel phone (03) 5777 6070 to book an Oversnow Taxi at 2.30pm to the Mt. Buller Village Centre / Bus Terminal. All Fares may be subject to change without notice. Lost tickets and cancellations greater than 48 hours of travel incur a $30 fee per ticket. Cancellations within 48 hours of travel are non-refundable. Children 2 years and under are free of charge when accompanied by an Adult, if a child 2 and under require their own seat then a normal child fare must be purchased. Passengers’ luggage is carried at their own risk, Fare includes 2 items of luggage plus one set of Board & Boots (or) one set of Ski’s and Boots. Excess luggage fees apply. Mt. Buller Ski Express is not liable for any expenses incurred by a passenger as a result of any delay or alteration, whether caused by mechanical defect, adverse road or weather conditions, or any other cause. 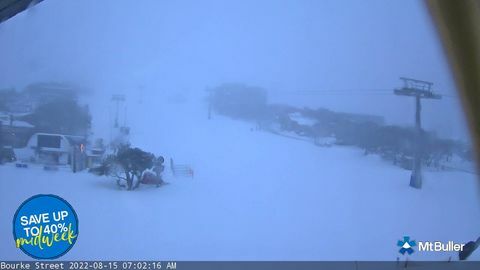 Mt.Buller Ski Express are unable to guarantee exact arrival and departure times and are not liable for any failure to make connections with any other service. All passengers are advised to purchase their own travel insurance prior to travel.